We all dream of a happily ever after studded with stars and all things special. However, in reality, this fairy tale is not exactly an overnight process, but instead a beautiful result created with a force of planning, and execution. If the most important day of your life has to be a fairy tale, it very well should be set in a castle (venue) of your dreams. And no tale is ever complete without its characters (special witnesses as they call it). Our team of experts at The Wedding Trunk makes a note of your idea of perfect, looks for a venue ideal for your wedding, goes on to conduct a recce to make your big day hassle-free! And as for the guests, our systematic RSVP approach ensures that your guestlist and arrangements go hand-in-hand. Our TWT Bride and Groom Deval & Nakul sealed the deal at Gandhidham, in a royal setting! What’s a wedding without décor details that entail of dreams? The one that truly marks the bride and groom’s dream and stories. 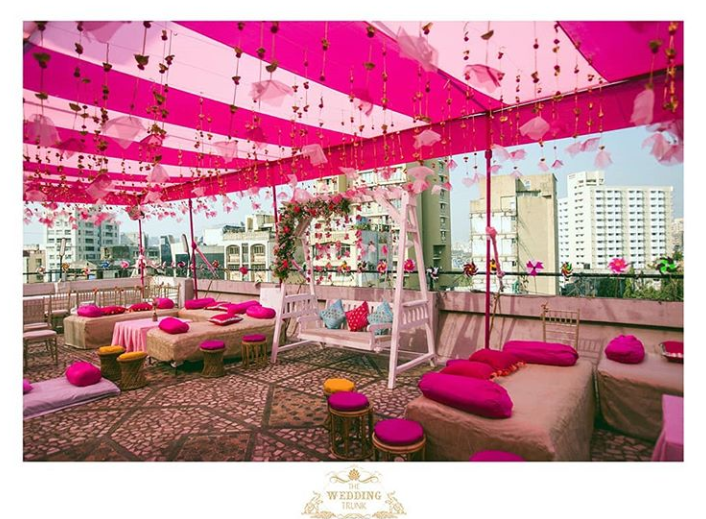 Our TWT bride, Neha, wanted to take a walk down the memory lane for her Mehendi and keep the chic quotient high, so we decided to keep Pink as the central colour of her sundown Mehendi décor, and introduced some pinwheels, elegant centrepieces, and floral details to match the vibe of the bride! And what do we know? The bride loved every bit of it. Indian weddings are all about making little things count because they convey warmth and gratitude to the ones who are part of it. Richa and Kunal, who had their destination wedding in Udaipur wanted to ensure that their loved ones are at the receiving end of it. Our wedding favours consisting of care packages sure ensured it. 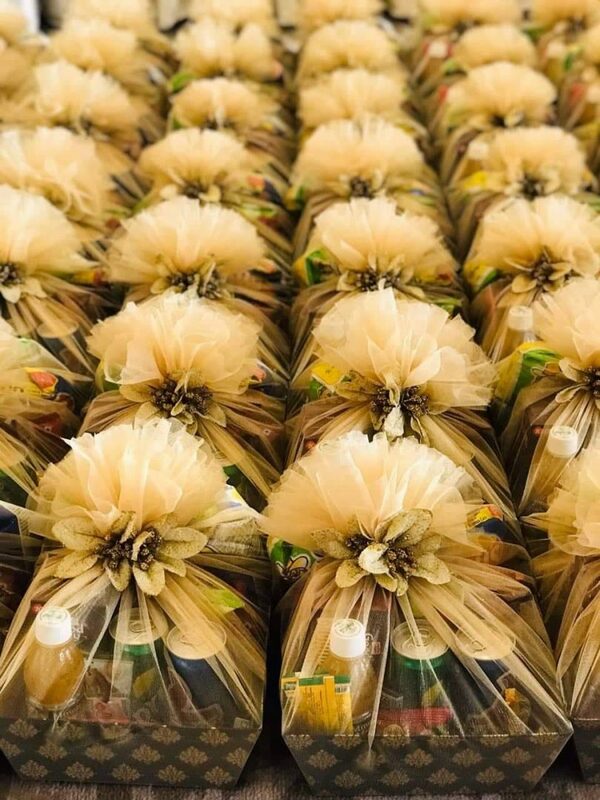 Our Mehendi giveaways, hangover kits, and thank you presents brought a wide smile on every attendee’s face. It’s the digital age we’re living in, and picture-perfect memories are more precious than ever. Our team of professional shutterbugs ensures that those vows are crafted into frames and silhouettes of love. Our TWT couple, Noopur & Ritik’s pictorial tale was straight out of a cinematic dream! Here’s a snippet for their destination wedding. This modern-day fairy tale concludes with contemporary knights in shining armour (Our team) all set to rescue the bride and groom’s families of the hassles like hospitality, transportation, and every logistic detailed involved by taking over the responsibility. These were the 5 steps to a happily ever after with The Wedding Trunk team. If you’re deciding on forever soon and wondering how to make your wedding a dream come true, connect with us on info@theweddingtrunk.com and we’ve got you covered! 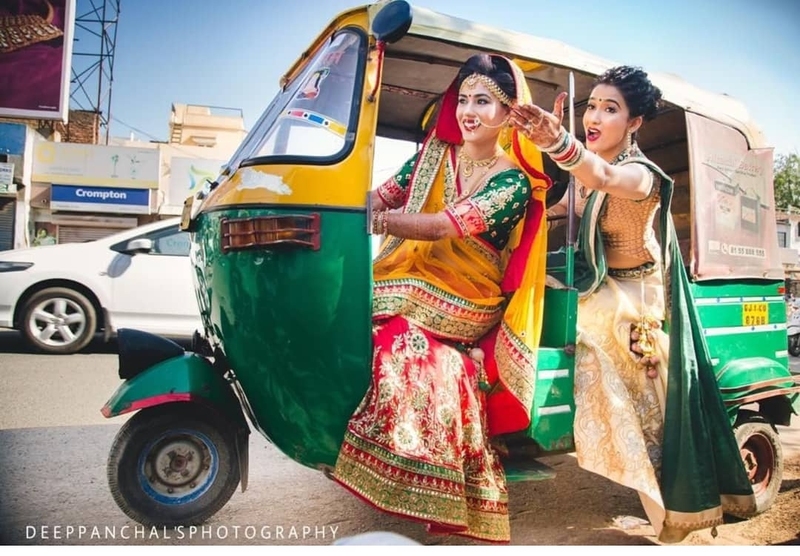 This entry was posted in Wedding Planning Ideas and tagged Best Wedding Planners in Mumbai, destination wedding, Mehandi Gifts, The Wedding Trunk, Wedding Hospitality, Wedding Management, wedding photographer, Wedding Planner in Mumbai, Wedding Planners in India, wedding planning, Wedding Planning India, Wedding Planning Services.